In celebration of America’s Test Kitchen’s new cookbook, Pressure Cooking Perfection, ATK asked me to try out a recipe or two using their top rated Fagor Duo stainless 8-quart pressure cooker. I have to be honest, I was a little intimated by using a pressure cooker. I watch a lot of Top Chef, and a lot of the contestants reach for the pressure cooker when pressed for time. You can make something that usually takes all day to make and build flavor in less than an hour. I really thought that pressure cookers were for professionals. I was certain that I would blow the lid off of my pressure cooker. But you know what? It was fool-proof. The lid locks, and is completely safe. 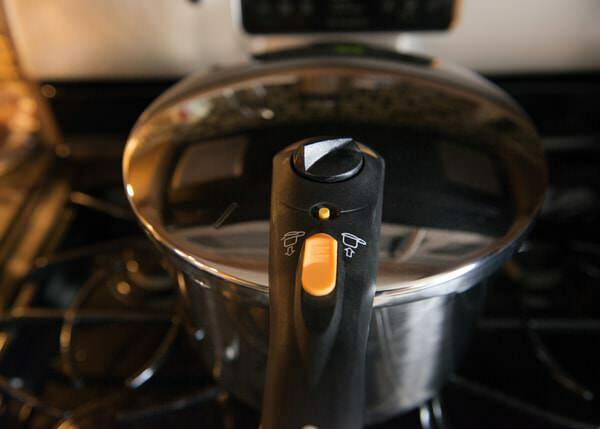 These are not the pressure cookers that our grandmothers used. And I know that what you are thinking. Really Bree? 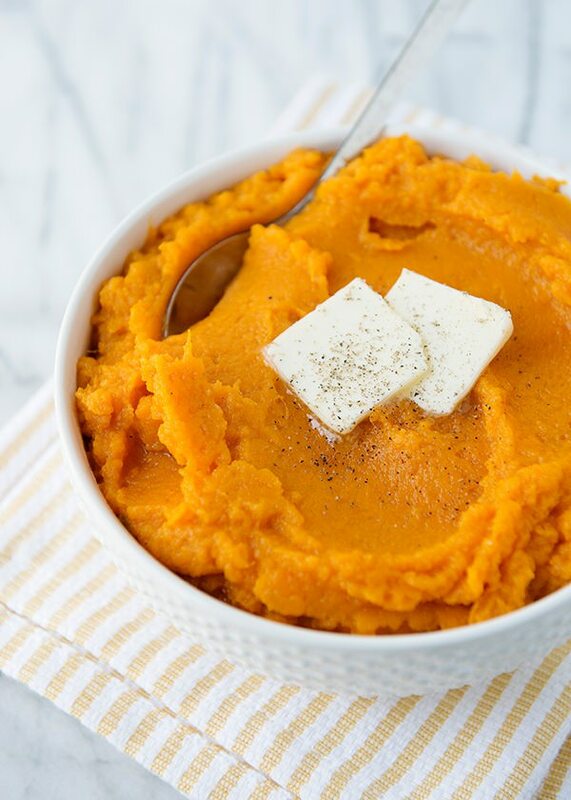 Mashed sweet potatoes? Why bother? Bother because the sweet potatoes were the perfect mashing consistency, stayed a gorgeous bright orange (they didn’t turn brown like they can do when you boil them) and really concentrated their sweet flavor. I really think that I might fall in love with pressure cooking. I know that you can cook beans in one, but I had no idea how many other things that you can make in one. Polenta. Stews. Soups. Pasta. I might have a new favorite kitchen appliance. 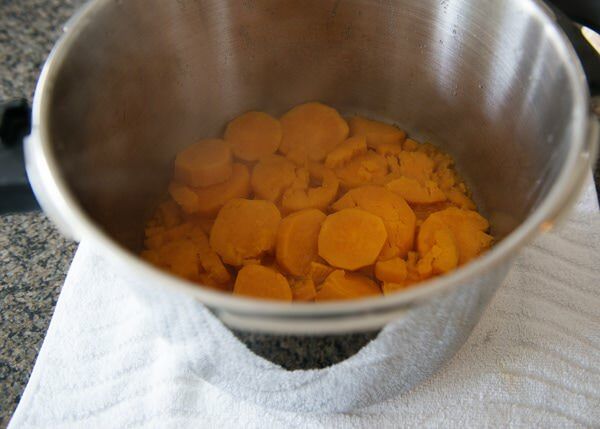 Add the sweet potatoes, water, and 1/2 teaspoon salt to the pressure cooker pot. 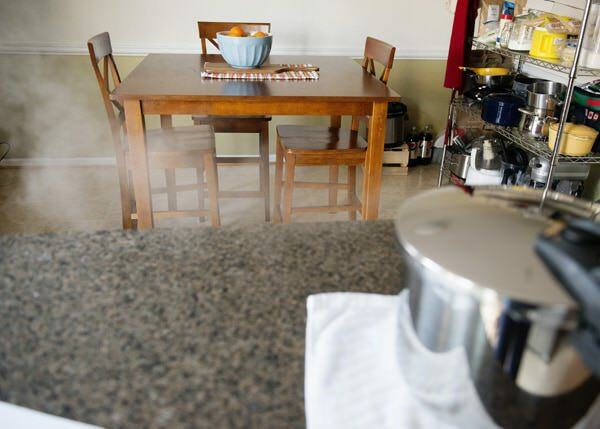 Put the pressure cooker on the stove over medium-high heat on the high pressure setting. When the pot reaches high pressure, the yellow button will pop up. Reduce the heat to medium-low and cook for 15 minutes. Make sure that you keep an eye on it so that it remains high pressure. Adjust the heat as necessary. Remove the pot from heat and quick release the pressure. Make sure that you point the steam away from you. It is amazing how much steam escapes that pot! Drain the water from the potatoes using a colander. Add the sweet potatoes back to the pot. Add butter, cream, and sugar. Mash with a potato masher. Season to taste with salt and pepper. Serve with a few extra pats of butter. And a little more pepper on top. This recipe is from Pressure Cooker Perfection. 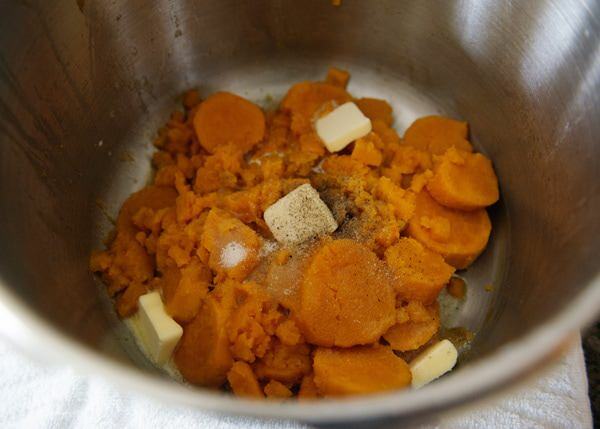 Add the sweet potatoes, water, and 1/2 teaspoon salt to the pressure cooker pot. Lock the lid on the pressure cooker. Remove the pot from heat and quick release the pressure. Make sure that you point the steam away from you. Drain the water from the potatoes using a colander. Add the sweet potatoes back to the pot. Add butter, cream, and sugar. Mash with a potato masher. Season to taste with salt and pepper. Serve with a few extra pats of butter. And a little more pepper on top. I am definitely going to buy this book and try a ton of recipes. Loved how easy it was and how fast. So, is this a Test Kitchen recipe? Very cool! 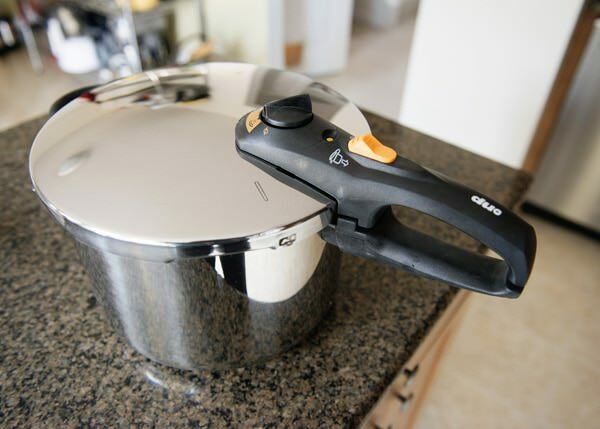 I’ve never actually seen step by step photos of how a pressure cooker works; that doesn’t look too intimidating at all! It really is a lot easier than I thought it would be. I have an electric pressure cooker too, but I like the stovetop one more. 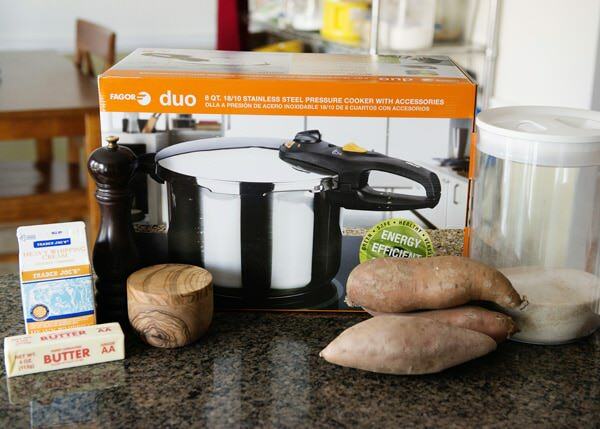 I love sweet potatoes and the fact that you can cook them in a pressure cooker is a plus. Yes it is! Loving my new PC! The pressure cooker is my favorite kitchen appliance. Last night I used both of mine. One for the rice and one for the main dish. I haven’t tried sweet potatoes yet. Yours look perfect! I can see why! It is so versatile! The dish looks unbelievably tasty, Bree! 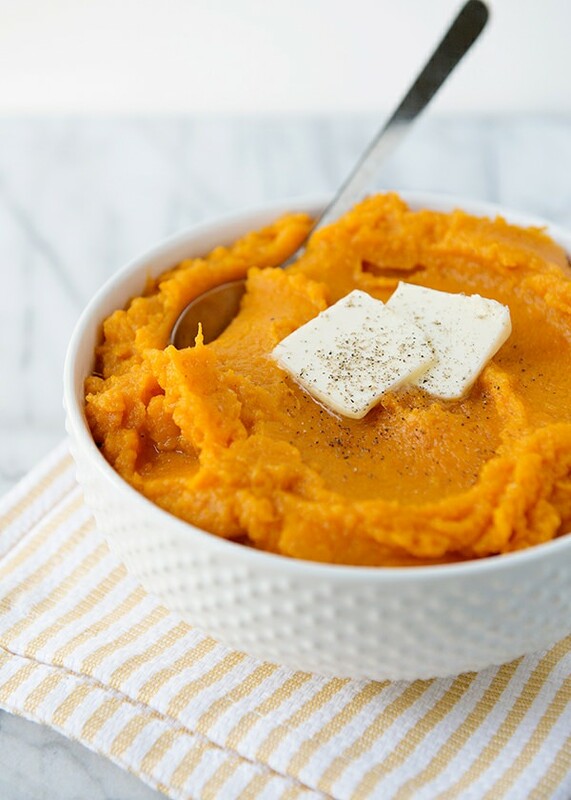 I really like sweet potatoes and will follow you recipe! this is tasty! Love sweet potatoes cooked this way. The ingredients list includes “1/2 thick”. What’s that? Peeled and sliced 1/2″ thick. so it would be handy to know number of servings. Thanks. I get a lot of comments asking me about serving sizes. I made a decision early on to not include them because I feel that it is very subjective. You can assume that if it is meal or a side dish, that it fed my family of 5. Cookies and bars are dependent on how large you portion them. A lot of times if I sourced a recipe that I adapted it from, you can find it there. 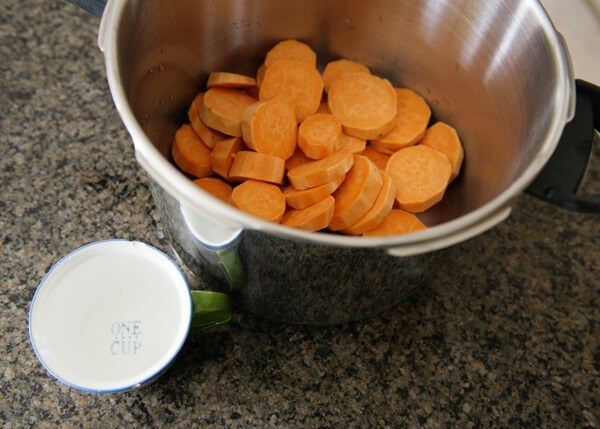 Does the water cover the sweet potatoes so they cook evenly, or did you use a trivet/steamer? No, just a cup of water. The steam cooks them. Is it possible to freeze once cooked? I’m breastfeeding and love my sweet potato super food! 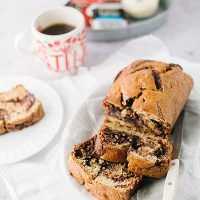 Thanks your recipe is divine! I have never tried to, but I think that you could.